Five STI component stocks to accumulate in June 2018 – Wilmar, Genting, SIA, Yangzijiang and HPH Trust (tactical buy call). Flight to safety underpins yield play in near term. While the World Cup and June school holidays are likely to divert attention from the stock market, the good news is that post May’s tumble, downside for the STI should be rather limited given that the Singapore market now trades at near 12.76x (-0.5SD) 12-mth fwd PE that is seen as attractive. We look at STI component stocks to accumulate in anticipation of a relatively quiet month of June. The stocks that fit are Wilmar International, Singapore Airlines and Genting Singapore. 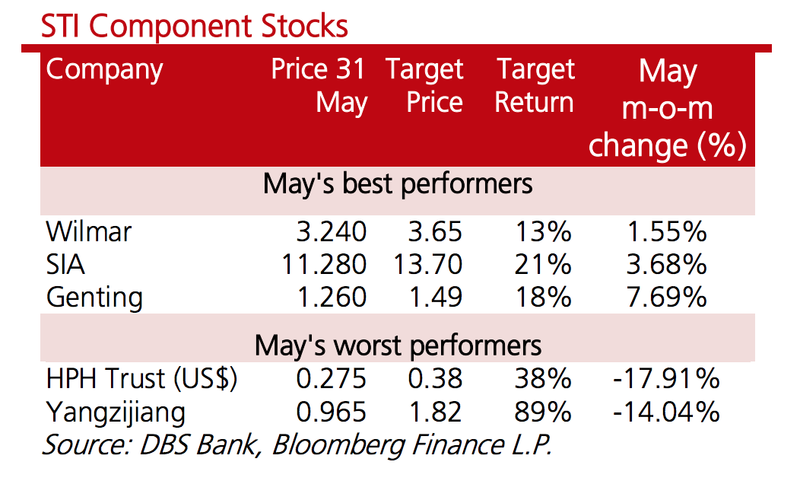 All three outperformers are also in our Singapore Model Portfolio. 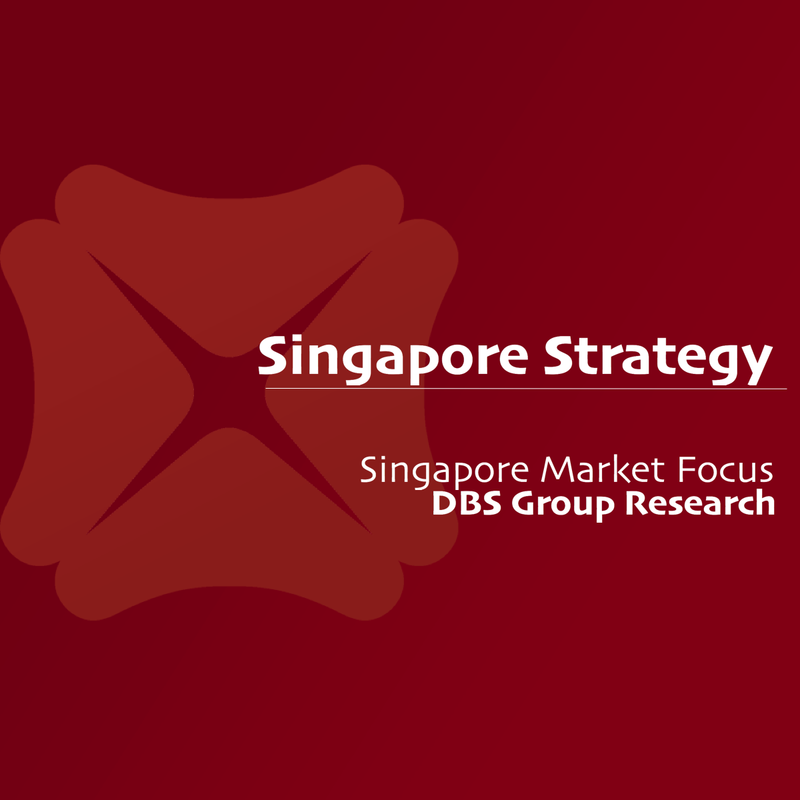 Our analyst yells out that the stock’s recent sell-down was due to overblown concerns on forex and steel cost pressure, as well as a slow sector recovery. It is now trading at a rock-bottom valuation of 0.7x P/BV, attractive 5% yield and higher ROE of 8-9% vs peers’ 4-5%. It also has a solid balance sheet, sitting on net cash of 76 Scts/share (including financial assets), representing ~52% of NTA as opposed to shipyard peers that are mostly heavily indebted. Echoing this view and putting it into action, Yangzijiang bought 5m shares at the ‘bottom’ price of $0.90/share and said it is ready to conduct ongoing share buybacks. The stock got slammed down because of its removal from MSCI Singapore Index. The one-off massive selling exhaustion that coincided with the ‘cut-out’ date has passed. Fundamentally, it is still the same company. Meanwhile, shares of other listed Chinese port operators such as Cosco Shipping Ports and China Merchants Port were up 8.9% and 1.35% m-o-m respectively. This further reinforces our view that HPH Trust’s weak performance last month is likely one-off due to the MSCI Index removal. HPH Trust now trades at FY18F yield of 9.6%, making it the highest yielding large-cap stock in Singapore. Technically, we see a price recovery towards $0.32. US 10-yr yields are off mid-May highs of 3.11% on political uncertainty in Italy, rekindling of trade war concerns and a FED that is more tolerant of inflation. Technically, we see US 10-yr yield capped below 3%, ranging from 2.7% to 2.95% in the short term. MAS 10-yr yield is also down from May’s high of 2.68%. Yield stocks could be underpinned as bond yields turn sideways. > 15% upside to Target Price. These are UMS, APAC Reality, HL Finance, Yangzijiang and SIA Engineering.